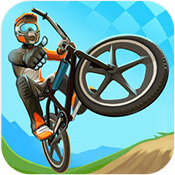 Race Your Bike Across Hazardous Terrain and Show Everybody Your Mad Skills! Nothing screams madness more than rolling down the steepest inclines or leaping across the deepest pits on a pedal-powered bike. There's absolutely nothing between you and the elements, which means you're going to feel absolutely everything that happens to you. The results of failure won't be pretty, but the rewards for success serve as undeniable proof that you have skills, and not just regular skills. You have mad skills! Winning an ordinary race is as simple as crossing the finish line before everyone else. Too bad for you this isn't an ordinary race. This is a BMX race, and an insane one at that! Race through dozens of hilly and hazardous tracks. Acquire and upgrade a plethora of awesome BMX bikes. Collect new paint jobs and uniforms to customize the look of both your bicycle and your biker. Pump hard as you roll downhill, and leave your opponent in the dust. 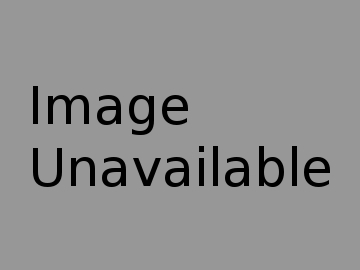 Leap over pits and hazards with carefully timed jumps. Mad Skills BMX 2 returns you to the ring of dirt where you can show everyone who the biggest, meanest biker out there is. With fast-paced action that rewards skillful play, you can't go wrong getting behind the handlebars of this ride. Get ready, get set, go! They say you never forget how to ride a bike, but that didn't seem to help Mad Skills BMX stay in the public memory for long. Be that as it may, Turborilla saw fit to make a sequel and bring mobile gamers back for another round of hilly dirt bike racing. What we have is an alright little app that plays competently, but is crippled by some design decisions that prevent it from being anything stellar. BMX racing in real life may be a difficult and physically strenuous activity that will give you a few lumps if you're not careful, but it couldn't get any simpler in Mad Skills BMX 2. Your biker pedals and moves forward automatically, leaving it up to you to control his more vertical movements. You decide when it's time to take to the air, when it's time to hit the ground again, when it's time to pump your bike up for speed, and you can pull it all off with just a single finger. It's simple, it works, and the game does an excellent job teaching you everything you'll need to know with its quick and dirty tutorial at the beginning. In general, you'll want to press up on sudden ramp-like inclines in order to leap in the air, and press down on downward slopes so you can pump up your speed and put some distance between you and your opponent. The challenge comes from how good your timing is, as well as knowing when it's time to get out of the air and return to the dirt. One second of airtime can mean the difference between victory and defeat. In that regard, every victory you pull off in Mad Skills BMX 2 feels like an accomplishment, and it's fun to see in action. Watching your biker pull off flips and wheelies never gets old, and the game throws a great variety of tracks your way that take full advantage of the kinds of crazy terrain a virtual BMX biker would have to traverse over. However, what good is bike racing if you can't do it in style? Like most mobile games, Mad Skills BMX 2 makes sure to reward you for your victories with plentiful amounts of cash that can be used to purchase all kinds of goodies. These include the usual upgrades for your bike and newer, better bikes in general, but more interesting are all the ways you can deck both your bike and your rider out. The app boasts an impressive number of paint jobs and uniforms that will make you look pretty cool as you roll down those hills and fly in the air. Sadly, it doesn't look nearly as cool as it could have been. Mad Skills BMX 2 upgraded to fully 3D graphics over the original game's 2D visuals, but it's not really much of an upgrade all things considered. The visuals are much more sterile-looking, and there's a lot less character overall. You biker in general has a very simple design too, wearing a typical motocross uniform and helmet that makes him look very generic when compared to the assorted boss characters he'll be racing against, who all have their own unique models and clearly don't care for what constitutes as proper biking wear. 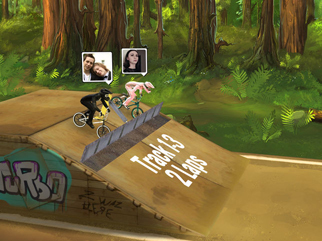 However, the more serious issue with Mad Skills BMX 2 is how all over the place its difficulty can be. You can run through a few races and have few problems, but all of a sudden, you'll come across one track that just doesn't seem possible to win regardless of what you do. It's during these times when it becomes clear that the race is actually an illusion; you're not racing against an AI-driven opponent, you're really racing against a pre-made record time. He will always turn out the same performance every run and never make a mistake, so beating him is all about doing some very specific actions to squeeze just a slightly better time out of him. Bike upgrades might be used as a means to overcome these walls, but honestly, it doesn't feel like they have a tangible effect. Your ride might say it runs faster and jumps better, but it won't feel that way. Worse, you're frequently limited by how many times you can improve your bicycle, so if you get stuck, you can't even try grinding for improvements. This game is absolutely riddled with bottlenecks that grow tiresome very quickly. If you fail enough times at a level, the app will eventually take pity on you and try throwing a few bones your way, such as showing a dotted hint line that displays the most efficient course of action to take in the race. Unfortunately, it comes across as more of a band-aid for poor design than anything. The premise behind Mad Skills BMX 2 isn't bad. There is certainly an addictive quality to be found in its simple but addictive gameplay loop. The problem is that it slams you into too many walls and doesn't give you much in the way of recourse that doesn't come across as patronizing. Give it a shot if you like, but temper your expectations.